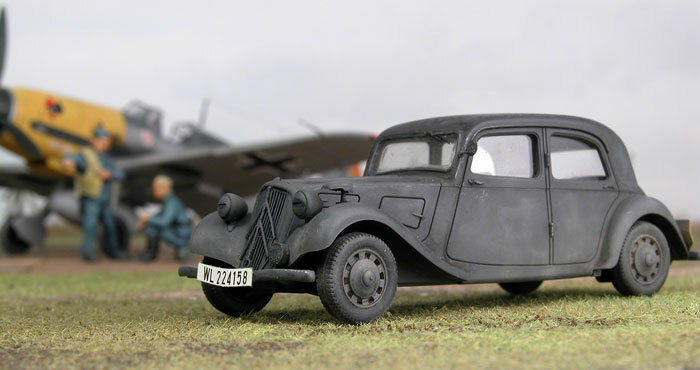 Here is Tamiya's 1/48 scale Citroën Traction 11CV finished as a Luftwaffe squadron hack. 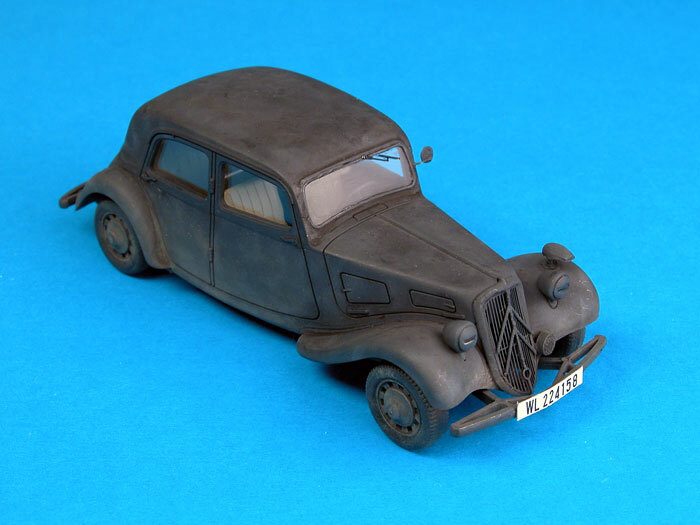 This model has been built with the addition of the Hauler photo-etched set (HLX480038), and also Hauler's resin and photo-etched Notek light (set number HLX48047) to add a further German touch to this little French car. 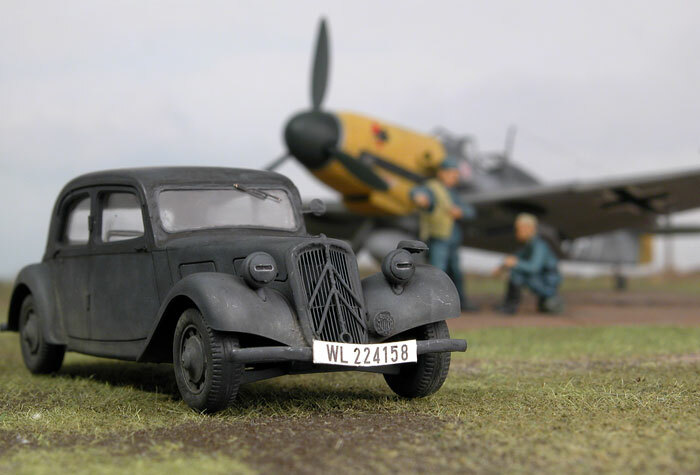 Tamiya's Traction 11CV will be an ideal airfield companion for Luftwaffe aircraft models. Construction, detailing and painting of this kit has been described in the review section of HyperScale. The model was photographed indoors under two separate incandescent studio lights - one 1,000 watt and one 500 watt. The camera used is my Nikon Coolpix 5700 mounted on a tripod and set to Aperture Priority, with the highest allowable aperture setting selected. In this case it was around f.8. The model in the background is Hasegawa's 1/48 scale Messerschmitt Bf 109F-2, complimented by two white metal Luftwaffe figures.